New Delhi: Bangalore’s new airport, already buffeted by a court case and controversy over closure of the city-side airport it replaced, has hit another roadblock ahead of a much-needed expansion. The Indian Air Force (IAF) has objected to the location of a proposed second runway saying it may be too close to its airbase nearby affecting operations. A civil aviation ministry official termed IAF’s objections “unacceptable" and said it would be asked to re-examine its decision. Among India’s top five airports by traffic, the new Bengaluru International Airport is facing public interest litigation in the Karnataka high court over alleged congestion during peak hours. The litigants, including a local citizens’ group in Bangalore, argue that a capital-intensive asset such as the Hindustan Aeronautics Ltd (HAL)-run old airport, which has been closed for commercial traffic since late May, shouldn’t be allowed to close, especially given the long commute time to the new airport. Over the past few months, under growing criticism, the civil aviation ministry had asked Bial to speed up the process of second phase of expansion and match the overcapacity gaps it found in a study of the new airport. This meant that Bial would need to create a temporary “express terminal" building next to the existing terminal before a new runway and terminal can come up to the south of the current runway. Construction work for the new runway, Bial says, is expected to start in July and finish in about three-four years. Planning and design of the runway is under way. Locating the new runway to the south of the airport campus, spread over 4,000 acres, will mean restrictions on planes using the new runway because their flight path may stray into the airspace reserved for IAF’s airbase at Yelahanka close by. The base is mostly used for helicopter training. “...we cannot come to the south as four miles (from the existing runway) is Yelahanka airspace. What we are telling is that a runway closer to Yelahanka will mean further restrictions," a senior air traffic control official at Airports Authority of India said, asking not to be identified. Bangalore airspace has to be carefully managed, the official said, after three large airspace corridors have emerged in the city, short distance of each other: that of the Bial airport, the old HAL airport and the Yelahanka airbase. In addition, the city hosts an airstrip on its northern suburbs that handles private planes and hobby aviation enthusiasts. Aviation regulator Directorate General of Civil Aviation, or DGCA, had proposed that IAF shift its operations to the HAL airport, which is mostly unused except for charter, private and important aircraft movements. But, IAF has rejected that request. “We are not shifting Yelahanka," said vice chief of air staff air marshal P.V. Naik, adding IAF wanted the new runway, which will nearly double the capacity of the airport, to be built north of the existing one. The airport operator said it had been granted all clearances including those for the second runway as part of the original airport master plan finalized in 2004 but is currently in talks to arrive at a solution after the reservations made by IAF. “The runways of the airbase at Yelahanka and those of our airport are absolutely parallel. Nevertheless, the air traffic management is coordinated. For this reason, (IAF) had worked out an integrated airspace management plan which was the basis for its NOC (no-objection certificate) for our project," a Bial spokeswoman said. 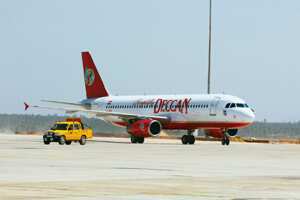 Since its launch in May, the Bengaluru International Airport has had more than 2.42 million passengers pass through it and carriers such as Dragon Air, Tiger Airways, Oman Air and Air Mauritius have also started their operation recently. The Union civil aviation ministry believes a new runway to the north of the airport is not feasible as it will require further acquisition of land. “Those (conditions) are not acceptable," a ministry official, who did not wish to be quoted, said, adding the ministry is asking IAF to relook at its stance.